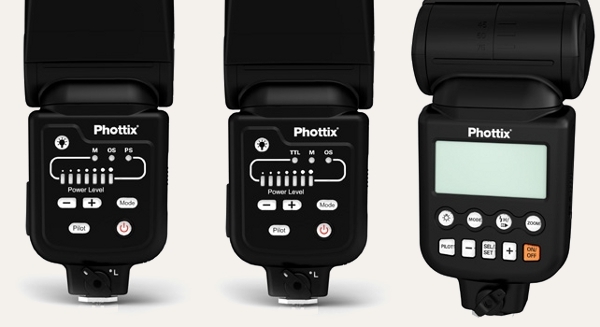 Phottix, a photographic accessory manufacturer from Hong Kong, have unveiled two entirely new product ranges for off-camera flash photography. The Phottix Helios and Foton series is expected to be released in stages over the course of this year and early 2011. But what are they? Photokina’s spate of new wireless lighting announcements are largely divided into two categories. The camera brands control their speedlights via infrared signals, while the lighting manufacturers are increasingly providing wireless adjustment via radio. Why not combine the best of both worlds? 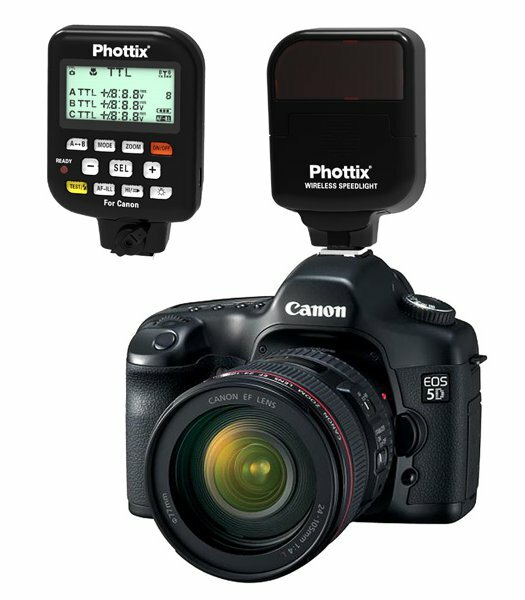 The brand new Phottix Helios provides a system utilising an LCD interface and 2.4GHz signals to adjust, transmit and receive TTL information. Introducing the Phottix Helios Wireless TTL Flash Trigger – Shooting with off camera TTL flash made incredibly easy. Fire your flashes wirelessly in full TTL mode and remotely control power levels. Say goodbye to manual mode or proprietary flash-based triggering – reliable wireless radio based TTL triggering is here. 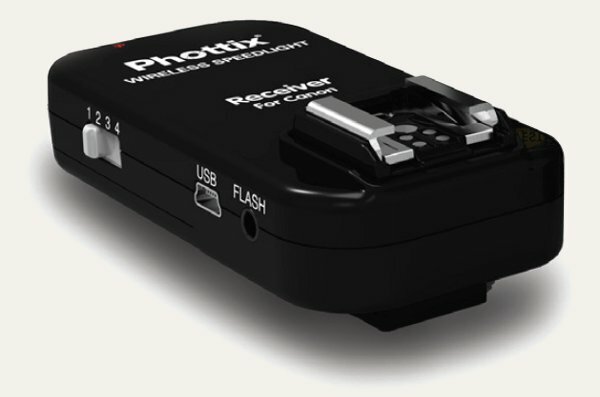 The Phottix Helios consists of an on-camera transmitter and control unit (TCU) and receiver units for compatible hot shoe flashes. The Helios system supports wireless high speed sync with shutter speeds up to 1/8000 sec. and second curtain sync functions. The Helios offers photographers four wireless channels and three flash control group designations. Flashes can be controlled in TTL group ratio modes A:B or A:B C with EV +/- adjustments of three stops. The power of individual groups can also be controlled in TTL mode with EV +/- adjustments, manually set, or turned off. Equipped with an AF-assist lamp on the transmitter and capable of second curtain sync, the Helios system offers a few things that Canon users will find particularly beneficial. The controls allow you to use Canon ST-E2-style ratios or Phottix’s own “easier to use” interface. Helios has four channels with a claimed range of over 100 metres. There is a 3.5mm port on the receiver (above) for synchronisation with studio lights, and mini-USB ports on both the TCU and receiver if you want to use the system without AAAs (takes 5 volts DC). One thing that might be missed, however, is an extra hotshoe on the transmitter like on the Strato. With any luck, the 2.4GHz frequency will make the Helios free from the interference issues reported by some 580EX owners when using PocketWizard’s ControlTL triggers. As it is legal worldwide, the same frequency can be used in North America as the rest of the world. *Applies to Canon version only. Nikon cameras can use rear curtain sync with any type of flash. It looks like the Foton LCD and possibly the Foton TTL, like other third party TTL speedlights, will be compatible with the Helios triggering system, though this has not yet been confirmed by the manufacturer. The manual Foton will only be compatible in basic triggering mode. I expect the manual Foton to be available by the end of October – the Foton TTL following in December, the Foton LCD in January. The Helios should be ready by the end of the year. The Helios and flashes are Canon only – but Nikon compatible systems are currently in development. Upon release, all items will be available online from the Phottix Store and from your local Phottix retailer. Phottix are represented at stands G-011/F-010, Hall 5.1 and stand E-037, Hall 9.1 at Photokina this year.